India’s geographical conditions result in varying climates and the tea produced under these varying climates are also vastly different. Assam tea is produced by the North Eastern part of the country. This region is dense with forests and is populated by many kinds of wildlife like rhinoceros. 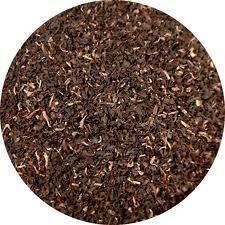 Assam tea is rich and full-bodied. In 1837, the first tea plantation was located in Assam. This is the largest tea producing region in India and is responsible for almost half of India’s tea production. The strong and spicy tea can also withstand chalky water (water with high calcium carbonate content) and is the basis for various blends of black tea. There are some 2,000 plantations in Assam. The first batch of tea production from India begins in middle of April until May. The second batch is from June until middle of August. Located south of the Himalayan Mountains, Darjeeling is the most different and unique tea producing region. The tea is delicate in flavor and considered to be one of the best in the whole world . 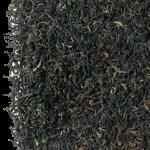 Darjeeling tea comes in the form of black or white teas and green or oolong teas. It is flowery in scent, thin bodied, and light in color when correctly brewed. 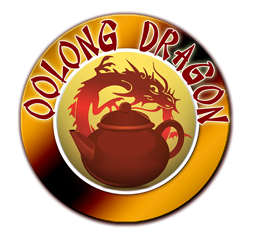 Darjeeling teas are more typically characteristic of oolong since its oxidation is below 90%. They are, however, sold as black tea. Darjeeling tea comes from China’s small leaf variety of the plant called Camellia sinensis rather than the Assam plant which is large. White tea, a variant of Darjeeling tea, is slightly golden and delicately scented. Its taste is mild with a tinge of sweetness. Their leaves are fluffy and light so one must put in more when brewing. After picking by hand, Darjeeling tea is rolled and dried under the sun. 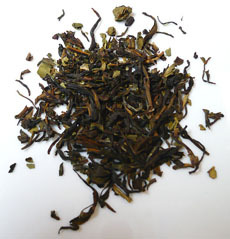 Oolong tea from the Darjeeling tea variant is light in color compared to the black Darjeeling tea during the first harvest as it is semi-oxidized. Indian oolong tea from the second harvest is preferred by international markets. It is a dark orange liquid , thicker and has a distinctive muscatel flavor. Only plantations that meet the most stringent standards are allowed to cultivate it. The plantation’s altitude must not be below 3000 feet above sea level and have an average temperature during the season falling between 5 degrees to 20 degrees centigrade. Indian oolong tea comes from two carefully picked leaves and a bud. These are air-dried naturally and under the sun. The dried leaves are rolled by hand and fried in a pan at specified temperatures. The Darjeeling plantations have 3 distinctive harvests. The tea from each harvest is uniquely flavored. The first harvested teas are light and fragrant, whereas the second harvest is stronger. The third, or autumn harvest, produces tea that is lower in quality. The Chinese plant type called Thea sinensis is mostly cultivated in this plantation. The shrubs grow slowly at the cold , high altitudes of the Himalayan slopes and accounts for their superior grade and quality. It is a fully fragrant tea from the beginning of the second harvest period and is spicy with a bit of sweetness. Subtly and gently flavored, Nilgiri teas are usually mixed with other stronger tea types.